Edited by Warmonger at 07:58, 29 Jan 2010. Kingdom Overview window made by our new team member, Ivan. Hopefully after exam session is finished, something will be released. Edited by AlexSpl at 08:24, 29 Jan 2010. I like it. Can I install VCMI over SoD (in future)? VCMI already use the "3 stacks starting" or it is just a coincidence? I always thought that it gives a too big advantage to rampart. Edited by Warmonger at 11:00, 29 Jan 2010. I remember this issue was discussed as a bug some months ago, so I guess now it's same as original. Edited by Warmonger at 18:22, 02 Feb 2010. Ok people, we decided to release new, big version 0.8 on 1st March. In the picture below you may see original fonts, hero speciality description and a bunch of Seer Huts which will be supported alongside with similiar objects. Also, win & loose conditions are already implemented so you will be able to finish entire games. Great job from the team. Gotta test the new version soon. Please report all bugs via Mantis and read manual. Edited by Warmonger at 11:20, 11 Feb 2010. New development version is out. Help testing new features before 0.8 release. How come I haven't seen this before?! I could propably make the graphics, do you want an increase in resolution as well as colour? I could make several steps of resolution, making it possible to have a graphic setting? There's just one problem, I'm not familiar with H3's directories and data storage, so if you just tell me how to find and extract the graphics. Cuz it's more than the pcx's and bmp's in the data folder, right? Wait a minute...VCMI ALLOWS or WILL ALLOW IN THE FUTURE to add new units? Edited by Warmonger at 10:47, 13 Feb 2010. We are going to implement convenient mod system in the future, once the game is more or less complete. There's no point to do that earlier. But there are no technical limits for that. Wait,at Config folder I have seen some DEF-monster things.Might they help in adding something? Edited by Warmonger at 11:30, 13 Feb 2010. This file simply tells which monster ID is linked to which def. But At the moment to add new creature you'd have to add such lines to many config files and change their total hardcoded number. But it's only temporal solution made just to stick things together. Be patient, in the end you'll be able to add them easily, as it is in NCF or even better. Those text files dosen't look hardcoded. It looks so promising... keep up Your work guys! Nice work guys! I was very surprised to find out that this kind of project is under active development! 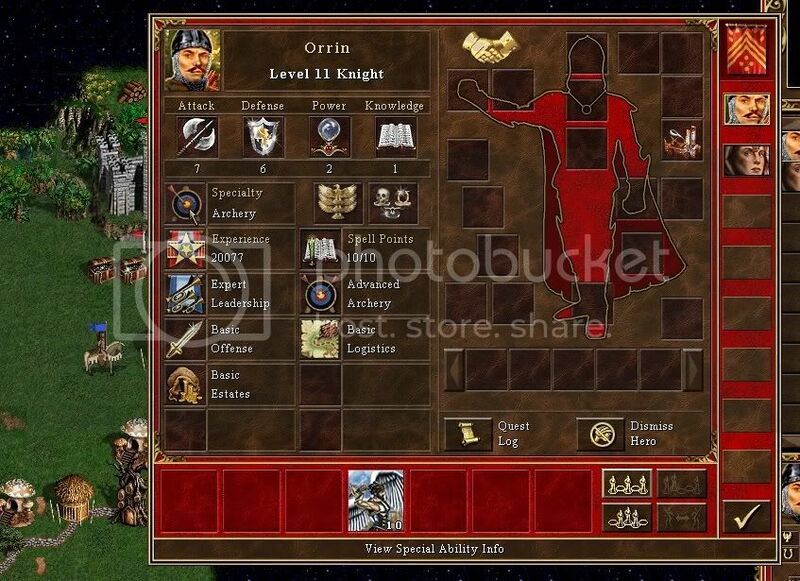 I'm also a huge HoMM3 fan and I especially like to play it with my friends over Internet. And as you know, the problem with multiplayer in normal HoMM3 is the lack of simultaneous movement. Do you have any plans to add multiplayer support (especially with simultaneous movement) to VCMI? If not yet (and well, even if you are) I would be willing to help in implementing that part of the game. I'm experienced C++ programmer with strong knowledge of networking protocols and their implementation. Edited by Warmonger at 20:58, 25 Feb 2010. Yes, yes, yes! At the moment some basic hot-seat is beeing implemented, so probably you won't have to start from scratch. Just join our forum asap and contact admins. Are you going to release only "WoG version" or will be there "pure Heroes Complete version" too? Finally the game will require only Heroes Complete to run and WoG will be threated as one of mods. But that's distant future and not likely to happen before 1.0 release. What about other game versions, for example polish Gold Edition?